On the occasion of 450 years of the temple in 2016. * It includes information about Shri Shantadurga at Kavale, Ponda and other temples of the goddess in Goa. * More than 25 colour photographs in articles written by dedicated writers. * Shri Shantadurga stotra, Shantadurgastavanashtak, Shantadurga Stuti, Kumkumarchan Vidhi details etc. 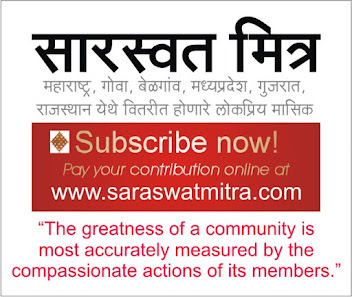 * Also includes Poem, Bodhkatha, Saraswat Matrimony, Rashi Bhavishya, article on Swami Swaroopanand, Pawas.